My husband loves math the way that I love art . When he talks about numbers his voices changes just a little bit the same way mine does when I start telling someone about the first time I saw a favorite painting in person. Well my son seems to be gearing more towards that side of things so I have been trying to come up with math activities that fit themes , have an art element if he wants to help me make them and most importantly are fun. Gather your materials. You will need a paper towel roll or two, some green painters tape , a black markers( one permenant and a regular washable one), drinking straws, stationary labels and scissors. 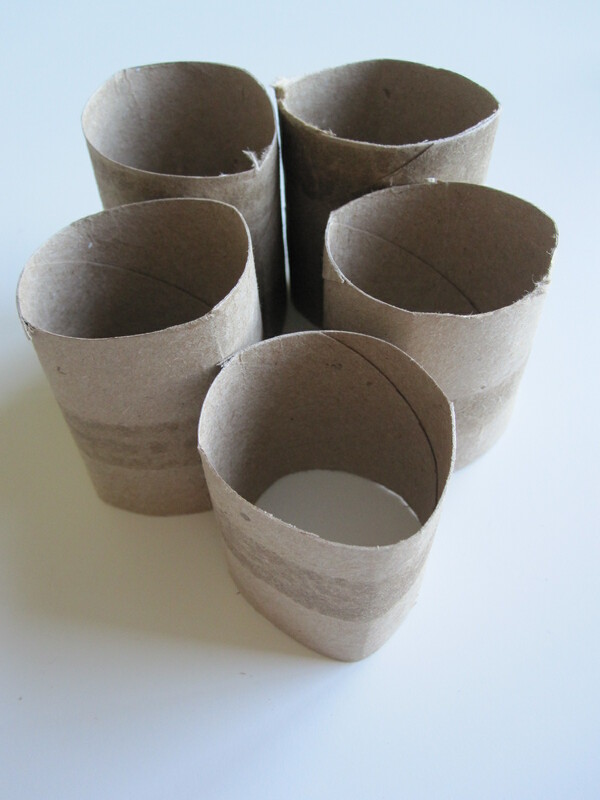 Start by cutting your paper towel rolls into smaller tubes. 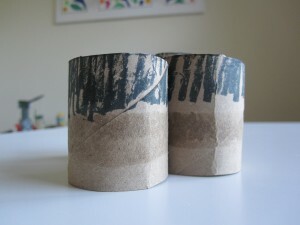 Next color the top of the roll black. Just use a regular old marker. Next wrap green painters tape around the bottom of the rolls. Add faces with permenant marker, regular marker will smudge. 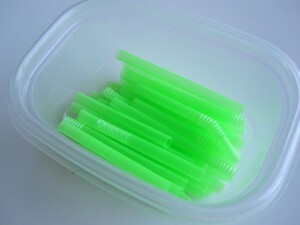 Now cut the drinking straws into smaller pieces. Make sure they are long enough to be seen and grabbed above the rolls. 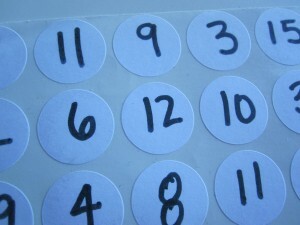 Write numbers on the stationary labels. Make sure you write some numbers that are “easy” and many that are a challenge for them too. The balance of challenge and success builds their self confidence. 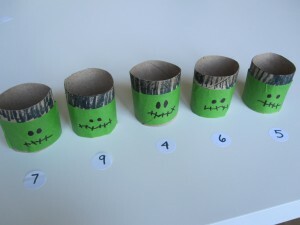 Place the Frankensteins on the table with the labels infront. This do not stick to my table but I don’t want to be responsible for wrecking yours, so if you are worried pop down a placemat before the labels. If it’s too late try goo-gone that stuff is a preschool teacher’s secret weapon. Give your child the straws and let them count and fill! 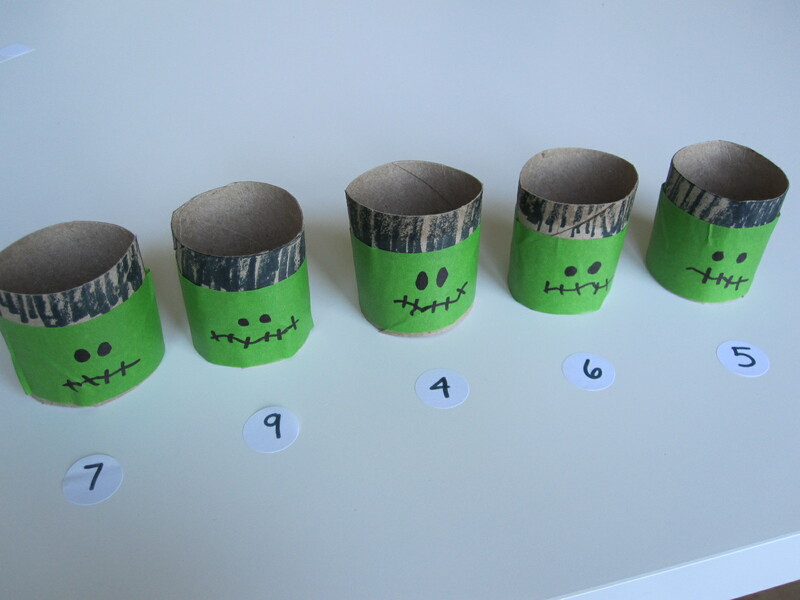 My son loved that he was putting brains into Frankenstein… nice eh? It was during this lesson that I introduced my son to double checking his work. Here he is counting a 2nd time. Peel the stickers off and put new ones on. Count and re-fill . 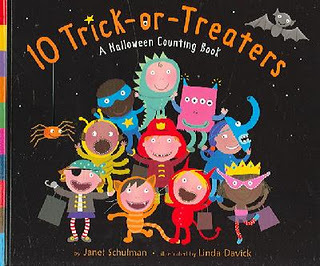 10 Trick-or-Treaters by Janet Schulman is one of my favorite Halloween books and both my children love it. We’ve been reading it daily for a few weeks. The premise is simple, a group of trick or treaters are pegged off one by one as they are scared by some Halloween creature. Readers count down from 10 ”“ 0 and enjoy the bright detailed illustrations as they do. I particularly like the cute costumes and the final page which has another countdown with candy ”“ always fun to count candy right? Love this! Pinned it. Will do it Friday 28th (Frankenstein Friday)! What fun! We will be doing this for sure!! This is birlliant!!! I love it!!! What a cute idea! 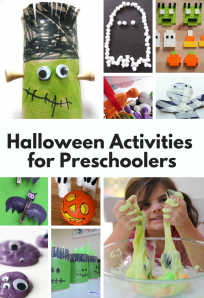 It would be great for our Halloween week. I LOVE that you are teaching him to double check! That’s a teacher’s dream! This is so cute! I think we are going to try this today! It goes well with his love of learning to count. this is so simple but super cute! 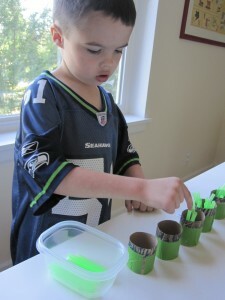 Love reusing those tubes! Cute! Love his jersey 🙂 I see you got him out of Batman. 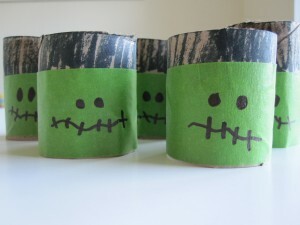 The Frankenstein tubes sounds like a great idea. 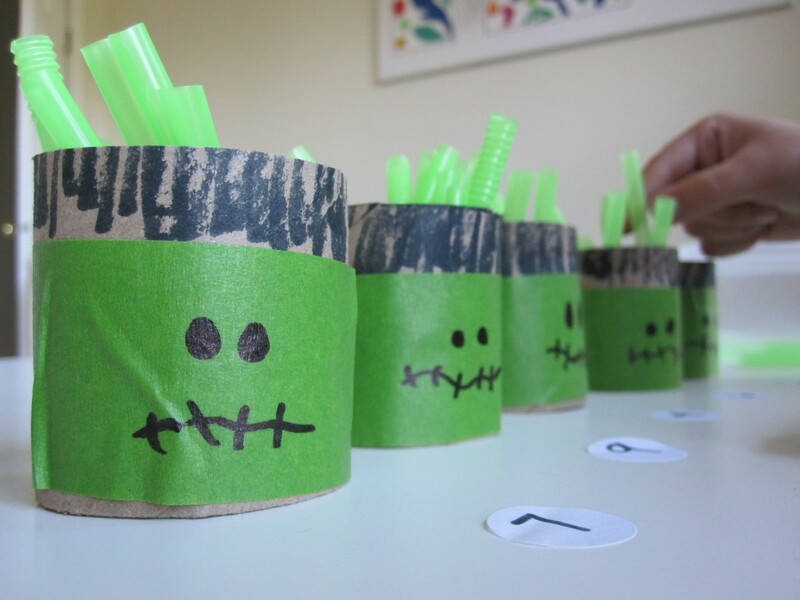 Frankenstein is a well known character and my kid would love the idea of placing the right amount of straws for his brain. I am actually having fun just thinking about it. 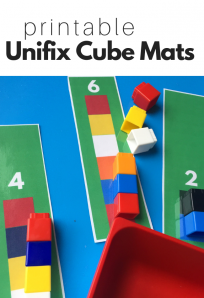 Thank you for sharing this amazing fun math learning idea for the kids. 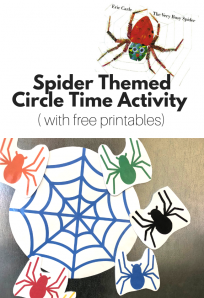 Love this idea, and I can see potential for building on it for slightly older kids. 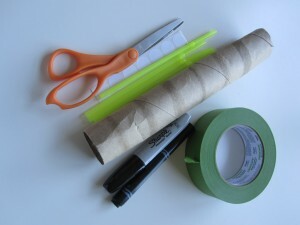 The sticker could represent the whole amount and two color straws could be used to add to make the whole. 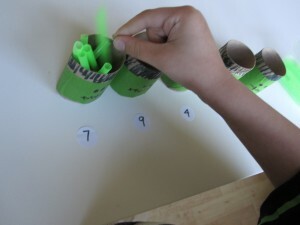 Or, some straws could be placed in the tube and the child would need to figure out how many more straws are needed to make the number on the sticker.